Steam used to spew so heavily from kiln condensate tank vents at Boise Cascade's LaGrande, Ore . sawmill it rained hot condensate and the area had to be cordoned off. With natural gas prices skyrocketi ng, all Regional Engineer Jared Rogers could see was energy dollars disappear ing into thin air. 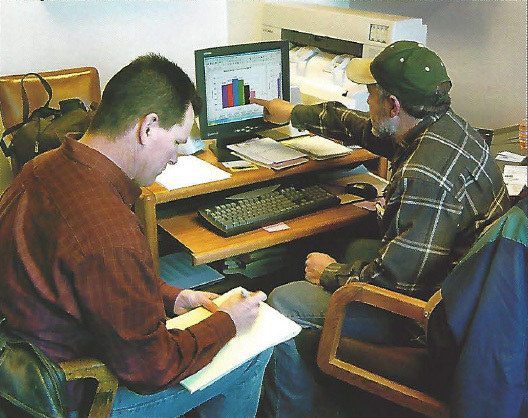 When an Enercon distributor told Boise's CFO about a permanent steam trap that would save money at all their wood drying facilities, Rogers was asked to look into it. Enercon's Chief Technician, Dave Walker, visited the mill and explained the problem was primarily live steam escaping through the mill's mechanical traps, something his company had virtually eliminated for customers in the lumber, paper, refinery, food, plating and other industries. He explained every time a trap opened to purge condensate, it lost a little steam. With Boise's 109 traps cycling 36,000 times an hour , a lot of live steam was going into the condensate return tanks and out the vents. Failed, leaking and oversized traps exacerbated the loss. And this wasn't just flash steam, which is simply superheated condensate turning to vapor at a lower pressure. "We were able to get a first hand re port on Enercon," Rogers recalls, "because one of our former management people had joined a West Coast lumber company which converted seven mills to their system. He said they ' d checked the product thoroughly and felt they'd made the right decision. Results reported in trade magazines bore them out. "What finally sold us was Enercon's willingness to back up their claims," Rogers adds. "Along with an estimated payback of less than a year, Dave guaranteed the system would work or they'd take it back for what we paid. It came down to risking $25,000 to save three or four times that annually, while eliminating the cost of continually repairing and replacing steam traps. Our maintenance supervisor, Lance Jones , was completely on board. Motivated by the importance of cutting gas costs, he jumped in with both feet to change out the traps. I think he had our seven kilns done in under a week." The "less-than-a-year" payback turned out to be less than six weeks. In five months, Boise saved $111,216 in natural gas, four time s the cost of the traps. During this period, LaGrande had its lowest steam use per-board-foot dried for any year evaluated, 0.49 pounds less than their 2000-03 average. Steam needs were cut 18,536,000 pounds which, at 12 therm s per-thou sand-pounds and $0.50/therm, resulted in the six figure savings. "To assure this was attributable to the traps and not ongoing drying efficiency improvements ," says Rogers, "we compared 'therms/MBF' ratios from our Regional Energy Report. For each month before the trap installation, the ratio was higher than the prior 4-year average, but lower after the installation. This confirmed that the energy savings were from the new traps and were actually greater than the March-July data indicated ." Rogers explains that a complicating factor was inconsistent white fir drying during the study period. Since white fir does not require conditioning, the "# steam /BF" ratio for drying it is significantly lower than for pine. When monthly data on white fir drying was tossed out , savings from the new traps were even better. "Our highest white fir production in 2002 was the only reason that year's steam use ratio was close to the 2004 value. Conservatively, the new traps reduced by well over 10% the steam required to dry lumber and paid for themselves many times over in their first few months of use," Roger says. Because production fluctuates, the most accurate gauge of savings is to compare therms /MBF. Boise combined the March -December periods in 2002 and 2003 (before installation) against the same combined periods in 2004 and 2005. 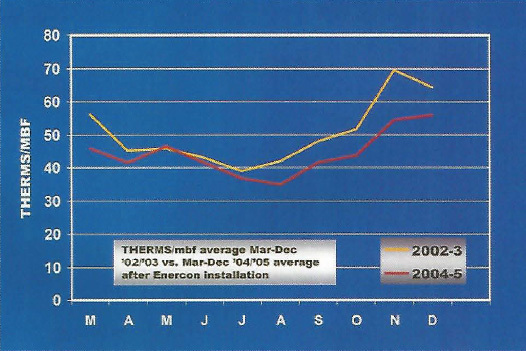 As the chart shows, the therms /MBF needed in 2004-5 were consistently lower over the 10- month comparison period and averaged 12.2% less overall. "Graphic proof of the energy saved is in the 'after' photo of the vent on our kiln condensate return tank which, as mentioned, had been spewing steam before the installation," Roger says. It turns out the Navy memo was taken out of context. In fact, the Naval Engineer's Journal (April 1973) reported that after four years on aircraft carriers, orifice traps had eliminated 4-5 year trap replacement and reduced fleet fuel costs by $15 million. At today's $60-a-barrel crude oil (vs. $4.51 then), savings would have been about $200 million. James McCauley's Steam Trap Handbook (1995) has an equally positive review of the Navy' s experience with orifice traps from the early '70s to the mid-'90s. As to the school project , Dave Walker says, "It's a job we'd have refused hands down." 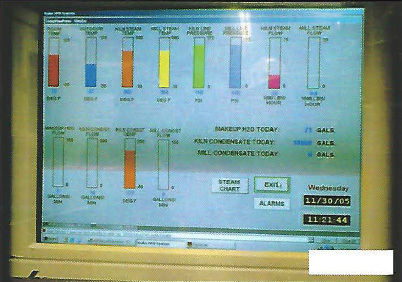 Walker , who has surveyed and sized more than 1000 high- and low-pressure steam systems since 1989, including some 150 lumber mills, says if, in his judgment, an Enercon unit won't work as well or better than a mechanical trap on an application, he won't recommend it. However, he adds that Enercon has successfully replaced 99% of the thousands of mechanical traps they've. surveyed for such applications as tracing lines, drip legs , heat exchangers, unit heaters, humidifiers and submerged coils. Installations have been operating efficiently as long as 16 years. Critics routinely argue that the fixed orifice is effective only for steady condensate loads. They rarely acknowledge that all condensate loads vary, nor do they address the phenomenon of "two-phase flow," the reason an orifice works with varying loads. In Timber Processing' s story on Hampton Affliates' conversion of seven mills to Enercon (JulyAugust '04 issue), Kiln/Boiler Lead Angus Low says: "One of the objections we had seen repeatedly on the Internet and heard from other sources was that the orifice is only effective in applications that produce steady , fixed condensate loads. This concerned us because our operations are all 'zone control' and we have a constant variable load situation. Based on a year's operations, these (Enercon) traps perform with excellence in our varying load environment." "As I see it," says Rogers, "the key to a successful orifice installation is a reputable supplier experienced in both steam and orifice technology, one with a record of properly utilizing these deceptively simple devices. With 16 years in the business, and excellent references, we were confident Enercon knew what they were doing. Dave Walker was great to work with and had a way of pushing us forward . He patiently addressed the same concerns over and over again as new faces got involved at the three Boise facilities that have Enercon units." Rogers points out that installation time was short considering 109 traps were involved, but could have been even shorter if they'd simply replaced existing traps with the new ones. 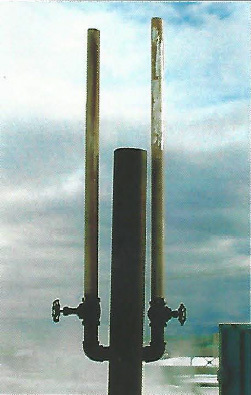 However, to correct issues concerning multiple coils plumbed to single traps, some units had to be put in new locations. This meant cutting into existing lines to insert pre-assembled trap/strainer units. 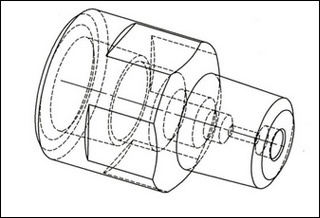 According to Enercon, if two coils are tied together-and heat transfer is lower on one than on the other-one of the coils can partially or completely short-circuit. For the customer ' s sake and ours," says Walker, "we will not ship to a plant that ties coils together." Maintaining a trap population is ongoing and labor-intensive. The Dept. of Energy's Energy Tips Bulletin (6-99) recommends weekly to monthly testing of high-pressure systems (150 psi and over); monthly to quarterly for medium pressure (30 to 150 psi); and annually for low pressure (under 30 psi). It also says in systems not maintained for three to five years, between 15% and 30% of the steam traps may have failed. Eliminating steam trap maintenance was a definite plus for the new units. Although Boise didn't track these costs separately , they checked each trap at least once a year to make sure it wasn't blowing by. If a trap failed closed, temperature controls caught it immediately. Rogers says significant bottom line savings have, and will, accrue just from not having to repair and replace steam traps. "If an orifice isn't properly sized and applied, it won't work," says Walker. "Those entrusted with 'orifice' projects have to know what they're doing. Critics use unsuccessful installations they've heard about to argue that no fixed orifice system is effective. The unit itself has little to do with a project's success; it's merely a hole drilled into stainless steel bar stock. The key to projects like the Boise job is a supplier with a successful track record sizing and applying that 'hole.' 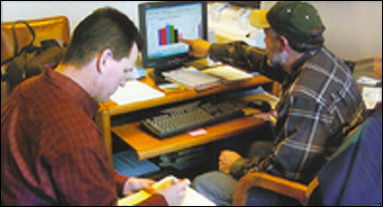 After 1000 projects since 1989- including complete conversion of more than 70 lumber mills in two years - most of our business comes from satisfied customer referrals. 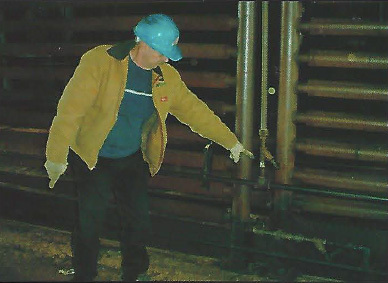 In a growing energy crisis, we've saved them millions of fuel dollars, improved their steam-related processes and permanently eliminated a lot of costly maintenance." Enercon collaborated with Boise Cascade in the development of this article.